All you need to do is ensure that you have a Race licence (not a Ride licence) and you’re good to go. You can come along to our monthly club races, or those of any other clubs whenever you like. If you’re keen to get involved in racing more regularly, no matter your current level, then you could consider our Racing@SUVelo program. Racing@SUVelo aims to promote and support racing across all levels of club members. 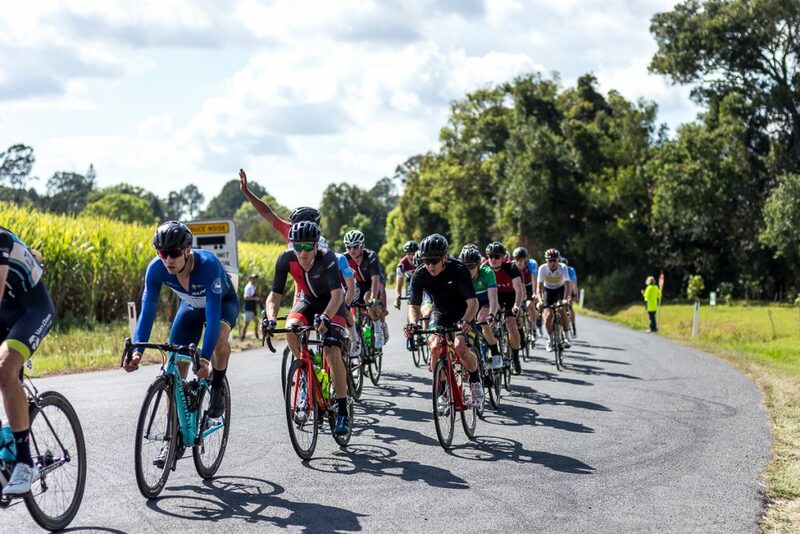 Whilst elite level racing is, and will always be important, we recognise that getting club members racing across all grades is at the core of cycling in NSW and Australia. The club actively encourages those who have never raced before to give it a go, and to help members who already race become better racers. 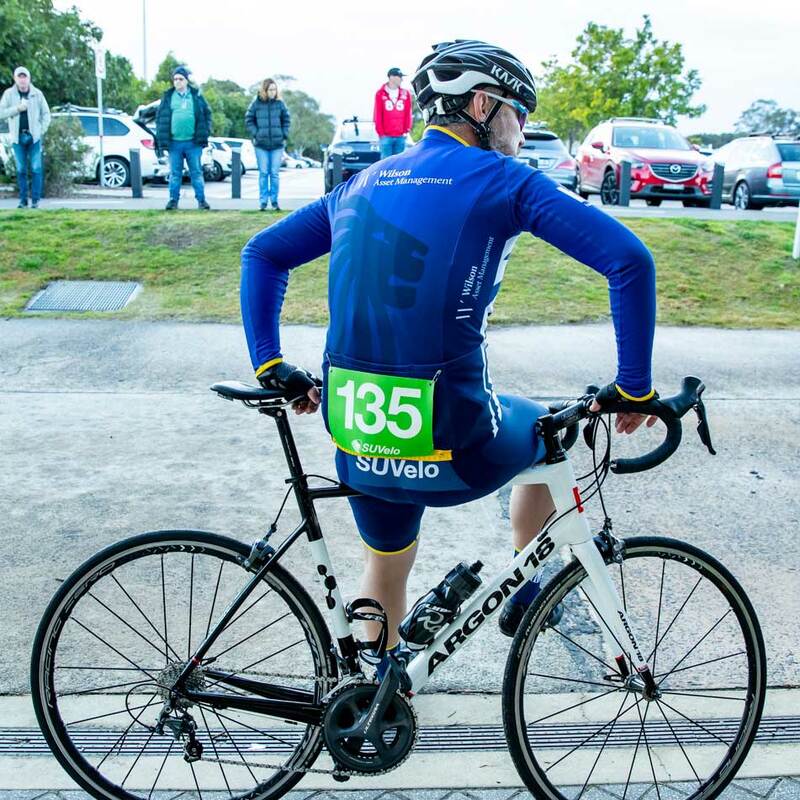 The focus of Racing@SUVelo is encouraging members to pin a number on whether at open races, club races, Masters racing, Gran Fondos, on the track or elsewhere. This is about getting our club out racing. All that is required of you is that you are keen to race regularly – regardless of whether you’re a beginner or a seasoned pro. Racing@SUVelo is also focussed on the development of riders, providing them with a pathway within the sport. Through the support of race mentors and club mates we are keen to see everyone improve. All you require is a current Cycling Australia Race Membership. 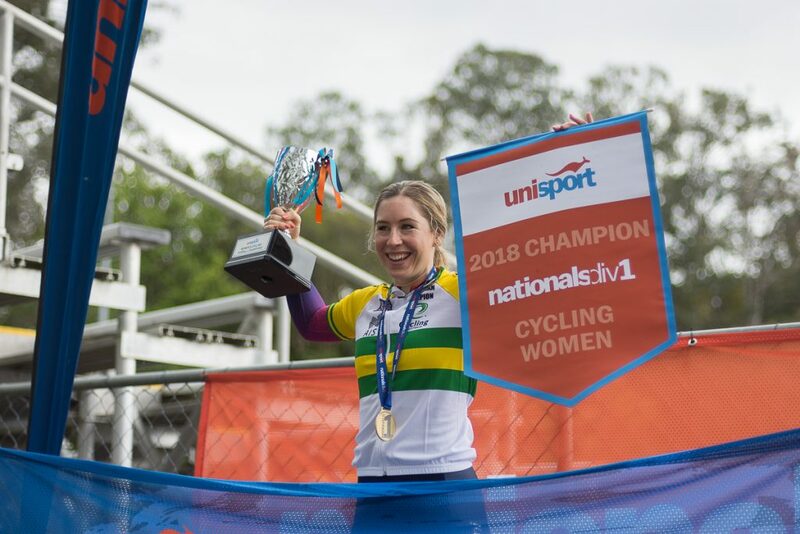 For those who want to go to the next level, our links with both Sydney Uni Staminade and Team Nero Bianchi provide a pathway in the sport for both female and male racers. SUVelo has a proud history of being one of the few clubs that has fielded Men’s and Women’s NRS club teams. 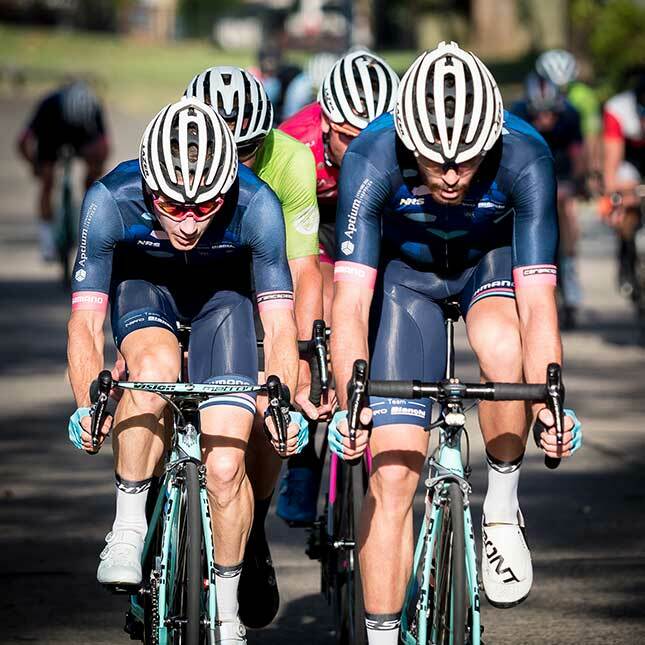 We want to keep supporting this high level of racing and in 2018 we will continue our partnership with Team Nero Bianchi on the Men’s NRS side, and our Sydney Uni-Staminade squad on the Women’s NRS side. Both teams grew out of the club and are now successful standalone entities providing a pathway to the next level for club members with the desire and ability to progress. If you are interested in racing regularly and are willing to join your club mates in a collegiate and fun environment to attend races in 2019, then great! Read our Racing@SUVelo Code of Conduct. Sydney Uni Velo Club is committed to getting students on their bikes and racing in Uni colours. 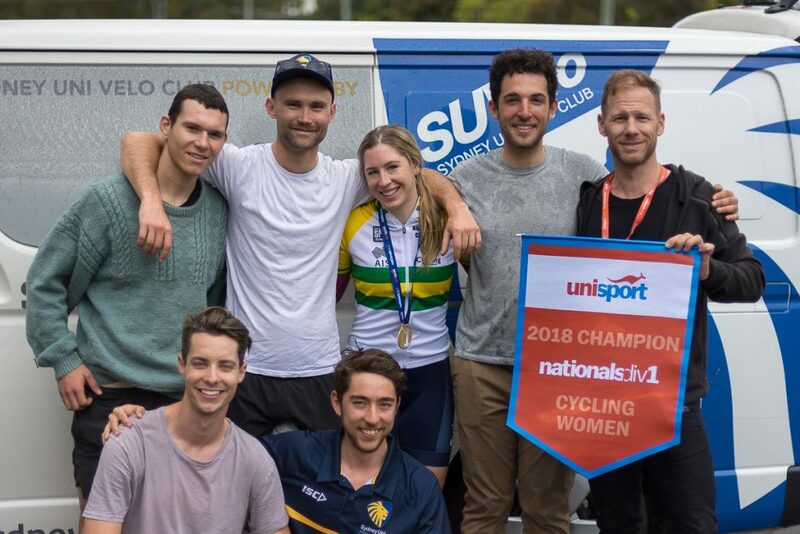 Alongside regular club races and the club’s SUVelo Racing teams, students also have the opportunity to represent the club and Sydney University in the annual UniSport Nationals (formerly Australian University Games). While it is not required that all USN representatives are members of SUVelo, we strongly encourage all those interested to get involved with SUVelo. 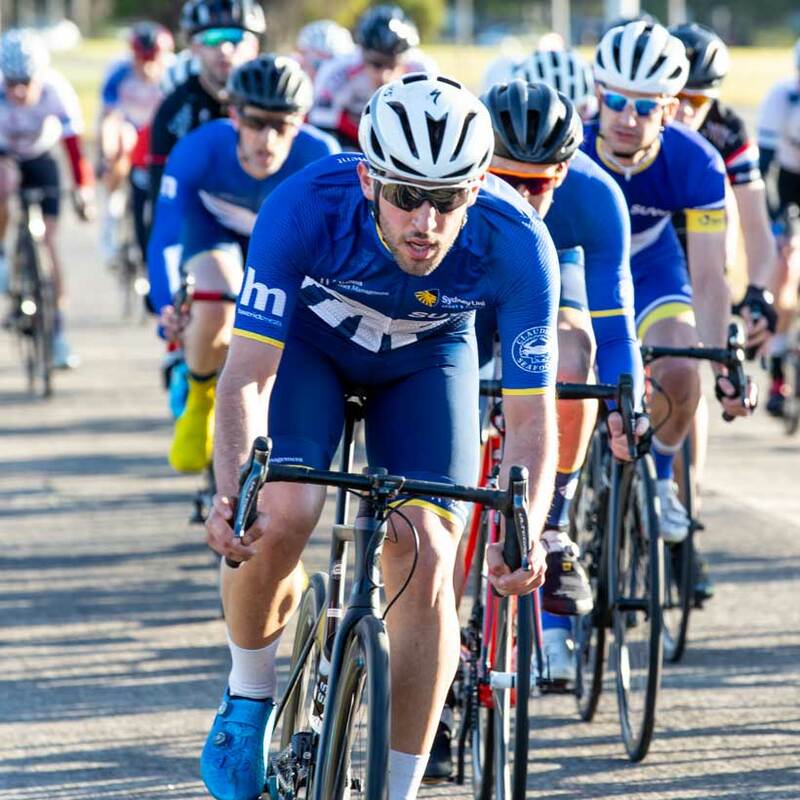 Join one of our many bunch rides and come along to our monthly racing at Heffron Park. In 2018, the University of Sydney came 2nd overall claiming 8 gold, 7 silver and 11 bronze medals along the way, and became the Eastern Region Champions. In cycling, Georgia Whitehouse took home top honours in the Women’s Cycling events. The team was represented by Caleb Agostino-Morrow, George Bryan, Georgina Whitehouse, George Peppou, Jesse Morley, Brendan Hancox, and ably supported by Team DS, Nate Bonarius. All photos from 2018 courtesy of Jesse Morley. If you have any further questions please feel free to contact SUVelo.